Transform and enrich lives! The Bachelor of Pharmacy with Honours develops a comprehensive understanding of how drugs are developed and medications affect the human body. Combining hands-on learning with clinical experience, this course is the first step to becoming a registered pharmacist and playing a vital and rewarding role in healthcare provision. Considerable time is spent in clinical placements in community and hospital pharmacies with students being encouraged to take these placements in rural and regional areas of Australia. Why study Pharmacy at UNE? 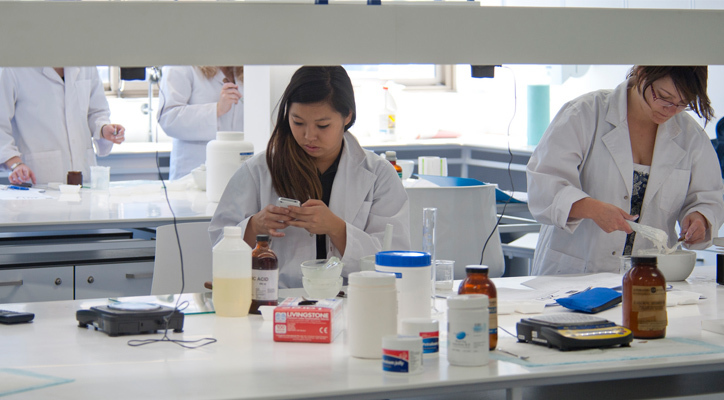 UNE is the first university in Australia to offer Pharmacy online and according to Online Universities of Australia is the top online university in Australia. We produce exceptionally high course satisfaction rates and high graduate salaries. Online students can also participate in the on-campus experience when they attend on campus for intensive schools where you will have face-to-face contact with academic staff, and other Pharmacy students, and cover hands-on aspects of the course. You will have access to the latest technology, facilities and teaching laboratories as well as gain extensive clinical experience. The Pharmaceutical Society of Australia provides extensive information on Pharmacy as a career. Pharmacy graduates find employment as community pharmacists or consultant pharmacists, hospital pharmacists or industrial pharmacists and also work as locums and in fields such as the military, law, journalism, academic teaching, pharmaceutical policy and in rural and remotes areas, and even abroad. You need a sound knowledge of NSW HSC level (or equivalent) Chemistry and Mathematics plus it is recommended that you have a knowledge of Biology. 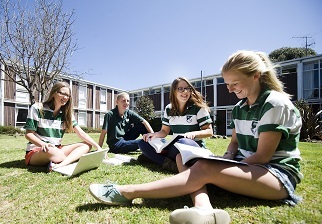 It would also be advantageous to have completed the equivalent of NSW HSC Mathematics Extension 1. We offer introductory units in Chemistry and Mathematics for students who do not have the recommended background knowledge. We also offer free Bridging Courses in Chemistry and Mathematics. We also offer the Bachelor of Scientific Studies which was designed for students who do not have a background in Science. We do recommend that if you don’t have a Science background, you give serious consideration to including the Bachelor of Scientific Studies as a preference when you submit your application. Alternatively, you might like to consider enrolling for the Bachelor of Scientific Studies in the first instance and, on successful completion of eight units, you can transfer to the Bachelor of Biomedical Science with some credit (advanced standing) for units you have completed.